This new location features a dining room to enjoy fresh from the oven pizza, and an open kitchen for families to enjoy the pizza making show. Pecos Valley Pizza, Inc., a Domino’s Pizza franchisee, and Hawthorne House Partners, LLC, an investment partnership of Corinthian Real Estate, Inc., announced they have entered into a long-term lease agreement for a new Dominos location in Albuquerque, set to open in the fall of 2018. Domino’s Pizza Theater will open in the Holly Place Shops at 5920 Holly Avenue in northeast Albuquerque and will occupy 3,360 square feet of retail space. This new concept will offer sit down dining options as well as carryout and delivery. Hawthorne House Partners, LLC was represented by Steve Lyon and George Chronis of Pegasus Retail and Pecos Valley Pizza, Inc. was represented by David Fite of Base 5 Retail. 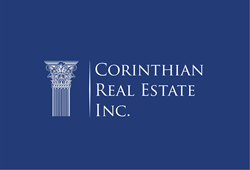 “We are excited to partner with an internationally known chain and believe a fast-casual pizza concept is the perfect addition to the Holly Place Shops,” said Brad Jones, CEO of Corinthian Real Estate, Inc. and Manager of Hawthorne House Partners, LLC. Domino’s is an American pizza restaurant chain founded in 1960 in Michigan and now has over 15,100 stores worldwide. The restaurant serves a variety of pizza, pasta, sandwiches, wings, desserts and more, all of which is available for carryout or delivery. Most of Domino’s locations are operated by separate franchisees, such as Pecos Valley Pizza Inc, a major player in the Southwest market. Brian Bailey, the President and CEO of Pecos Valley Pizza, Inc., operates 80 Dominos franchises across New Mexico, Colorado and Texas, and brings operational expertise to this new location. Bailey was selected as the 2017 Restaurateur of the Year by the New Mexico Restaurant Association. As one of America’s ten largest Domino’s Franchisee’s, Bailey and his team are working towards their next goal, to become a 100+ store organization!